Take time to review the contract before you find the right home. The standard sales contract used by Realtors in Northern Virginia, DC and the Maryland suburbs will be changing as of January 1. Our contracts and forms have always changed over time and most changes are of minor consequence. However, this revision includes a change that drastically alters the way a home is conveyed. I have always felt that our contract was fairly balanced between buyers and sellers. There were terms in the in the contract that buyers didn’t like and others that bothered sellers but when each side has a little pain, it is probably fair. This latest major revision includes a significant seller friendly modification. The old contract stated that the seller warrants that the heating, cooling, plumbing, electrical and appliances will convey in normal working order. The new contract states that the property will convey in “in substantially the same physical condition to be determined as of (a specific date).” That date can be a mutually agreed upon date, the contract date or the date of the home inspection. (My guess is that this will be the most common date). What Does the “AS IS” Clause Mean? Previously, if the home inspector discovered that the stove was not working or there was a leak under the bathroom sink, the seller was obligated to address that problem. Most of the time they fixed it but other times a credit was offered and the buyer fixed it after settlement. Either way, the seller took ownership of the issue. Now, at the conclusion of the home inspection all issues will be up for negotiation. The seller will have no obligation to fix anything. The buyer can still ask. 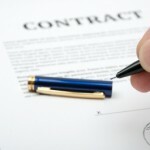 If the seller agrees to correct the requested items or the buyer and seller work out a credit, the contract lives on. But if not, the buyer can still walk and get their earnest money returned. And the buyer still has the option at the conclusion of the home inspection to simply void the contract without asking for repairs if they find that the condition of the property is such that they no longer wish to move forward. I understand these issues and I have had some negotiations with other agents on these matters. But we always worked it out and I did not have deals falling apart over minor issues. To me, the lack of clarity over these issues did not necessitate such a dramatic change in the contract. Buyers, particularly first timers, found comfort in the old clause and sellers, except in distress situations which is a whole different story, should convey the property with some minimum guarantee of functionality. Now, the “fights” will not be over normal working order at the time of the home inspection but now the discussions will crop up at the worst possible time – settlement day. The buyers will be saying the dishwasher (or insert your favorite appliance) is not working properly but was before and the sellers will say the dishwasher always ran a little noisy and rough but it cleaned the dishes. I can tell you I am not looking forward to those conversations. I much prefer the old system where most issues were worked out at the beginning of the transaction and not the end. What Should a Buyer Do? The home inspection is now more important than ever. The buyer will still do a walk thru a day or so prior to settlement and will need to compare the condition on walk thru to the condition of the property on the date that was identified in the contract. That is why the best date will be the home inspection date as the buyer will have an independent report outlining the condition of the property on that date. So choosing a good home inspector is critical. Click here for a recent blog I wrote about choosing a home inspector. In addition to the thoughts expressed in that post, I would strongly suggest that the inspector have the ability to add digital pictures to the report. This will help a great deal in establishing the condition of the property. Here is a link to a recent Washington Post Article entitled, “New Sales Contract Forms Shift Balance Away Buyers.” I agree with most of what the article states although I do have a different take on the author’s conclusion. He states that if you are buying a home, you may want to have an attorney review or draft a contract for you. If you are concerned about what any of the contract terms mean, you absolutely should have an attorney review the contract. (I am not an attorney and can not give legal advice.) However, I would suggest you do this in advance of writing the contract. And for practical reasons, I would suggest it is not a great idea to have an attorney draft a totally new contract or insert major modifications to the standard contract. Of course, if there is something you feel very strongly about, you should make those changes but absent those sentiments, it may be best to leave things as they are and work within the parameters of the new contract. Why do I say that? Two reasons. First is timing. Inventory is very low right now and if I had to label the market, I would say it is slightly more of a seller’s market than a buyer’s market. If you write an offer on a properly priced and presented home and include an attorney review clause, it is likely that the seller will not want to have the home off the market while your attorney looks things over. Or by the time your attorney drafts their contract, there may be multiple offers on the home. Do your attorney work in advance so you can move quickly when you find the right home. 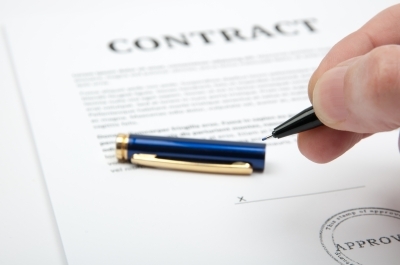 Many of the contracts I have presented recently have involved multiple offer situations. The fewer the contingencies, the more competitive your contract. An attorney review contingency will almost certainly be perceived as problematic in a multiple situation. The second is perception and expense. If you present your attorney drafted contract to the seller or significantly modify the existing contract, the seller will need to understand the implications of those changes. Now, as mentioned, Realtors are typically not attorneys and will not be able to offer the seller an explanation. So the seller will need to hire their own attorney to review the contract. There will be back and forth negotiations among the attorneys, fees will start add up and, in the meantime, another contract could come in on the property. It is a cycle worth avoiding if possible. In other parts of the country, it is standard procedure to have attorneys negotiate the real estate contract terms but here it is out of the ordinary and can send a red flag to a seller. Again, if there is an issue that is of extreme importance to you, we will have an attorney draft an appropriate addendum to address that concern. And I fully support a buyer having an attorney review the contract in advance of finding the right home. An informed buyer is the best buyer. I give every buyer I work with a copy of all contracts and forms at our first meeting so they have all the time they need to read and review the documents well before we find the home. And if they want that review to include an attorney, I am fully supportive. Thoughts or comments on the upcoming changes?